Rest: Rest the injured shoulder and avoid activities that require overhead motion. A sling may be worn for 1 week to facilitate healing. When these conservative treatment options fail to relieve shoulder instability, Dr. Patel may recommend shoulder stabilization surgery. 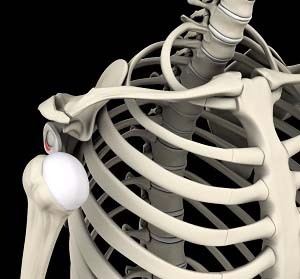 Shoulder stabilization surgery is done to improve stability and function to the shoulder joint and prevent recurrent dislocations. It can be performed arthroscopically, depending on your situation, with much smaller incisions. Arthroscopy is a surgical procedure in which an arthroscope, a small flexible tube with a light and video camera at the end, is inserted into a joint to evaluate and treat the condition. The benefits of arthroscopy compared to the alternative, open shoulder surgery are smaller incisions, minimal soft tissue trauma, less pain leading to faster recovery.